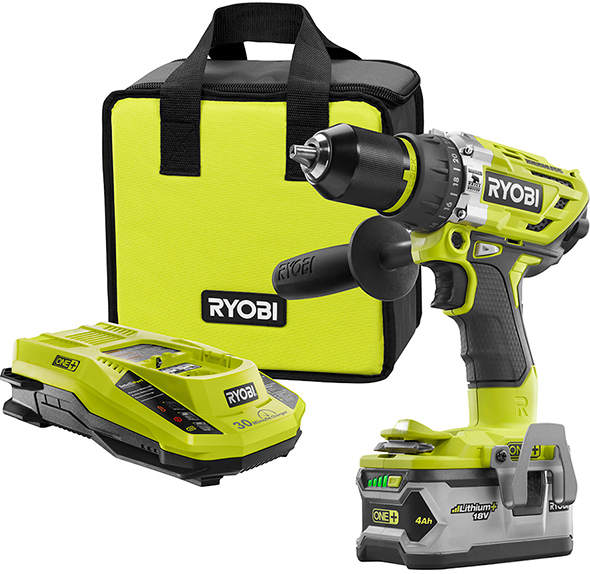 Even with all the excitement around 18V cordless power tools these days, many heavy duty users still prefer the strength, runtime, and features of 36V-class Li-ion tools. Two of Bosch’s 36V cordless power tools caught my attention a while back – their drill/driver (DDH361) and hammer drill (HDH361), and I have meaning to talk a little more about them. 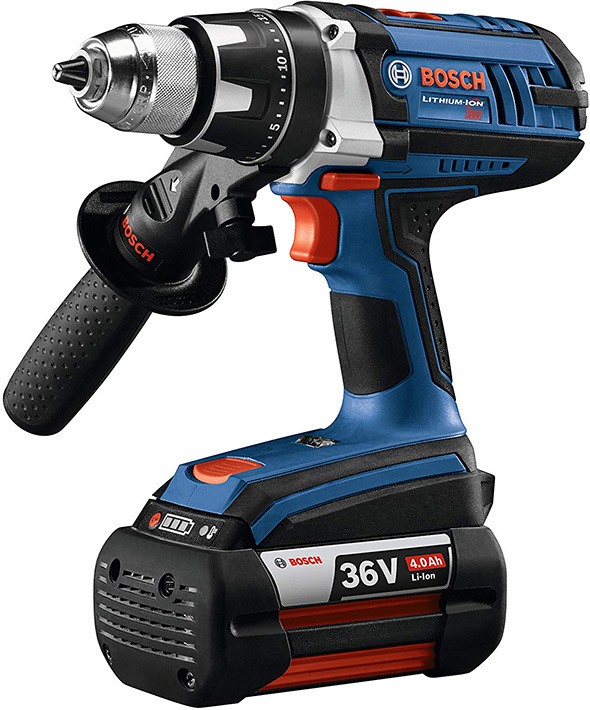 They’re part of Bosch’s existing 36V platform, which also includes an SDS Plus rotary hammer (RH328VC-36K). These heavyweight drills have a Bosch-exclusive Kickback Control feature, where an integrated acceleration sensor shuts down the motor with sudden movements are detected. This should help mitigate injury risks in bind-up situations. They also feature a 25+1 precision chuck, 360° Sure-Grip side handle, and flexible Durashield housing that can helps the drills withstand accidental drops on concrete. The kits both come with a 36V charger and (2) 4.0Ah battery packs. There are times when the job requires a high-powered tool that offers both strength and safety. 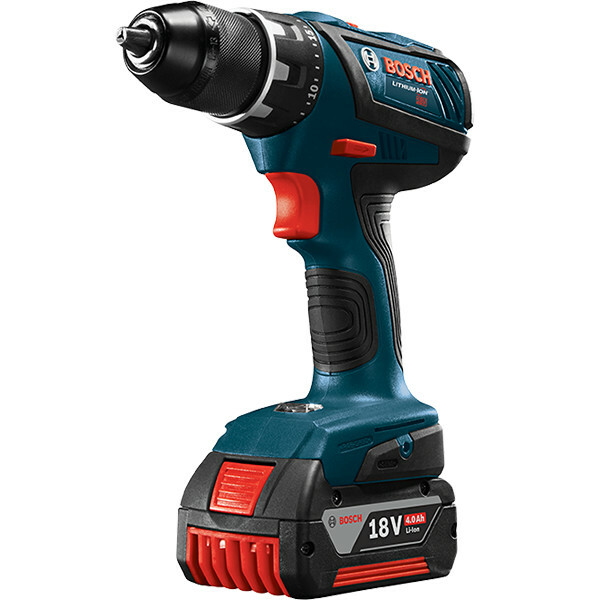 Bosch’s newest 36V drill/driver and 36V hammer drill/driver are just the tools you need. That about sums it up perfectly. While I wouldn’t consider myself in the market for a 36V-class cordless drill/driver or hammer drill, I do know that some users specifically prefer tools of this size and class. Maybe it’s about the single-battery runtime, or the extended performance under heavy duty applications. Or maybe it’s about tradition. I am regularly asked for news on 36V-class tools, and am happy there are modern tools to point reaers towards. Even with Bosch’s new higher output CORE18V battery packs and the next-gen tools designed around them, I think there’s plenty of room in the market for 36V Li-ion options. The anti-kickback accelerometer sensors seem like a great safety touch, and a measure that I hope to see in even more tools in the future. With drills this powerful, it seems like a must-have. There is still strong demand for 36V Li-ion cordless power tools, and it’s good to know that Bosch is answering that demand with current 36V Li-ion core tool offerings. Also, might want to proofread that third paragraph! I have the brute tough 18v version with the same safety feature. While it does work. You still should be alert to bind up. Even with the safety it still can bind up and hurt your wrist. It’s best to use the handle with larger bits and not place too much confidence in the safety feature. On another note I’d like to see bosch develop their 36 v line. There is a lot of potential to better develop their batteries and do a 2×36 sliding miter saw with a.c. adapter. I don’t think it could be applied to the glide miter saw, as the motor is high already and that would make it to top heavy imo. It would pair well with a version such as the 5312 slider or 5412. Or even 10in slider. Surprised they never did this cause years ago they had a 24v miter saw I think in nicad. Correct if wrong. Yes, Bosch had a 24v miter saw in NiCad. For it’s time it was a great tool, and was relatively inexpensive on release. There are some people out there that have repurposed the saw to run off of Lion 18v batteries and have extended the life somewhat, but not having tried this myself, I have no opinion on the process. I have one of these units sitting on a shelf and will probably experiment with it at some point just for fun, but there are too many current viable options for cordless saws to give it any priority. The real limiting factor for the saw was the battery and replacement costs. New batteries ran great but deteriorated at a rapid pace and were upstaged shortly after release by newer battery tech. In the end mine had a useful life of approximately eighteen months and then hung on as an emergency backup for another year before being relegated to the dust bin. I modified my Bosch 10” mitersaw to take my Makita batteries. Did this when the 3.0 batts were out. Ran a full kerf 10” blade pretty decently. Did a lot of jobs with it like that. Used a led flashlight body attached to the Bosch battery housing to create the adapter. Used it also on the Bosch: planer, recip, rotozip, and jigsaw. No longer use any of that as I’ve got either true Makita versions or Dewalt 20v versions. Not surprised but I would have thought they would have a few bigger pieces now. Like their own 7-1/4 circular saw with 36V battery, or a stronger recip and of course an SDS rotary hammer. ALso surprised it’s not brushless. Oh and a larger grinder too. Might be coming next year – will it be marketed the freak plus. I too would have thought they’d had some more pieces. We use the latest 36v rotary hammer it it does hit significantly harder than the corded bulldog. But now with the goon and hitman it would appear the 18v will be superior in power to the 36 v rotary. Though there is a ton of potential for bosch in the 36v line if they so choose as far as their batteries and tools. It’s hard to believe how much power all companies are cranking out of their tools. Things sure have changed from when I was 5 on the jobsite, and I’m only 37. Wish bosch would branch out into different trade areas like dewalt and millwaukee, just seem overly cautious or something. things they sell in europe and not here. Ironically Bosch is a much larger parent company. IE they make many different things, honestly like GE was before 2014. So I too am surprised you don’t see more plumbing or at least electrical tools. OH and their new naming marketing rot turns me off completely. Yeah the names are strange, have always liked bosch fit and do finish on their higher end tools, though wouldn’t complain too much about any pro tool. Have had some good tools with all the major brands. Will keep buying bosch unless quality nose dives despite the new weird names. I picked up the 18V brushless DDS-183 drill back in 2015. I bought it specifically for the anti-kickback feature and full metal chuck. It’s pretty good, in fact I’ve only had one instance of unexpected kickback (using a spade bit). Interesting – do I see flats for a wrench on the chuck? Consulting the user manual (PDF manual), there’s no mention of it. So… maybe? Some drill press keyless chucks come with wrenches to provide added clamping force, and so it’s certainly possible. Bosch 18V Brute drills have similar features, but I never realized they could be wrench flats. That makes so much sense. A metal keyless chuck that if needed you can wrench down or out. IE it hammers in and now you can’t get it loose with your hands on the knurling – instead of grabbing a large jaw plier and mucking it up you grab a 19mm (or whatever – wrench and ease it off cleanly. Wonder if that will catch on. I’ve not had to plier out a drill bit but I have had to grab a rubber gripper to help twist out a keyless chuck a few times when using bigger bits. 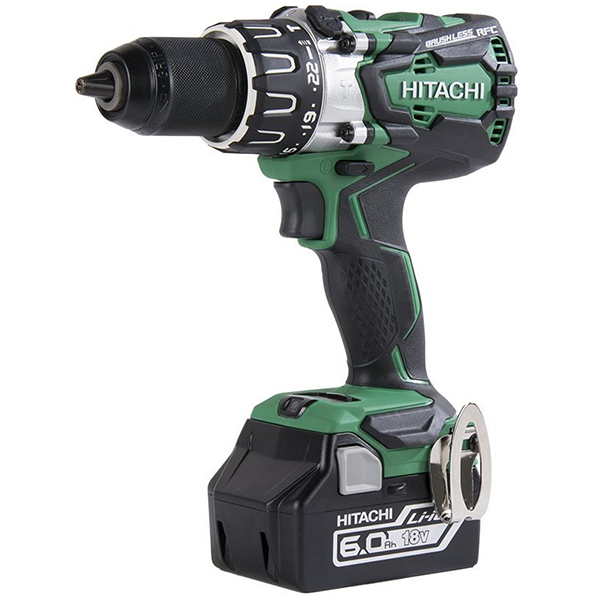 Comparing this to the new M18 hammer drill (2804) which advertises 1200 in-lbs of torque, 2000 RPM, and 32,000 BPM. Is it safe to say the M18 is more powerful? Or am I missing something? No, I don’t think you’re missing anything. Torque itself isn’t the full story. You must also consider build quality and battery management which may be why Bosch doesn’t have the highest specs but may in fact last longer and still get the job done. With everything you must way the advantages/disadvantages. I found the Gen3 M18 hammer drill is actually slower at masonry applications than the Gen2 M18 hammer drill. There’s BPM, RPM, and torque that all matter, but impact energy does too. I don’t think I’ve ever seen that specified for a hammer drill though, just rotary hammers. I was hoping Bosch would expand their lineup when I bought in to it when they first came out. I knew Li-on batteries were being developed that would pack a better punch, but I figured there was a long way to go still with their 36 volt batteries. Not sure why Bosch won’t compete with Milwaukee and Dewalt in North America, or Festool and others in Europe. It could be because they are such a big conglomerate, they have trouble focusing like Dewalt and Milwaukee. The adjectives they use in their ads, and on their tools, are almost ridiculous. That said, my go to circular saw is still the old 36 volt Bosch. The hammer drill died, and the flashlight isn’t LED, but the recip saw is still great out in the yard. I have been careful with the batteries, and they are still holding about half their original capacity. Wow! Brushed motor? Less torque and higher price than a comparable Milwaukee model? AND a smaller kit battery?! How wonderfully vintage! They should have called it a “throwback” and given it a ni-cad battery, why even bother with a lithium-ion? Or make it corded period! 4Ah at 36V is the equivalence of 8Ah at 18V. I really don’t understand this drill. It’s big and cumbersome and the specs arnt the best. If you are drilling regular size holes or screwing in big fasteners there are a ton of 18v tools that would probably do it better, faster at a smaller size. If you want to drill big holes or holes in concrete a hole hawg type drill or a rotary hammer drill would be better. For Bosch 36v owners it’s an upgrade from their previous generation and appears to be a beefier version of Bosch’s 18v HDH181. If your already invested in 36v I’m sure it will do the job just fine. I bought into the 36v Bosch when it first came out back in 2008. The drill died after about 6 months. I still have and use the SDS hammer drill. The 36v saw base got bumped out of square and the recip saw doesn’t work as well as my new 20v Dewalt. It seemed like good stuff at the time but new 18/20v tools seem to outperform them and are so much lighter. If you are using only 36v tools from Bosch, then it’s worth buying and using. Nice post…I hope This brushless drill is good for Us..!